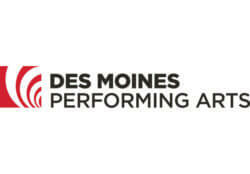 Des Moines Performing Arts seeks a dynamic, highly qualified Music Director/Assistant Director for its Summer Camp Programs. The position invites emerging professional music directors enrolled in graduate programs or equivalent experience to collaboratively lead a series of musical theater-based performance camps for young artists in grades 3-8. Job Categories: Theatre. Job Types: Contract. Job Tags: assistant, director, music, summer job, teaching, and theatre. States: Iowa.